Over the years, we have found that people love the geometry of the Day 6. And why not? It eliminates leaning over the bars, it allows your feet to reach the ground, and it allows you to use a backrest and a wider seat. We have also found that the vast majority of people love our backrest. 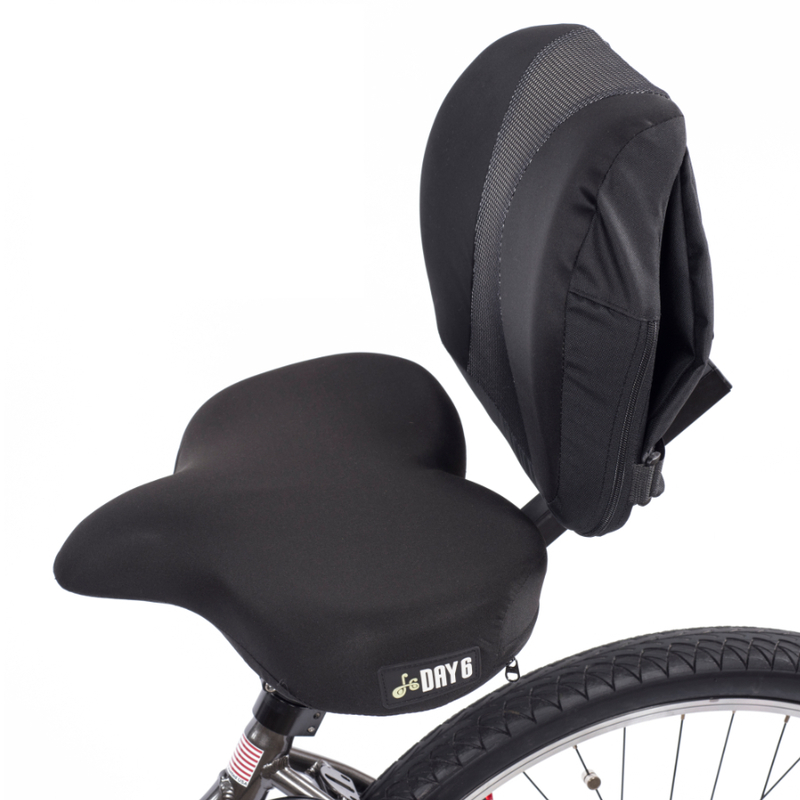 Unlike other backrests on upright bicycles, the Day 6 Ergo S’port backrest is soft, contoured to fit your lumbar area, and it is adjustable horizontally and vertically..
Seats, however, are another thing entirely. 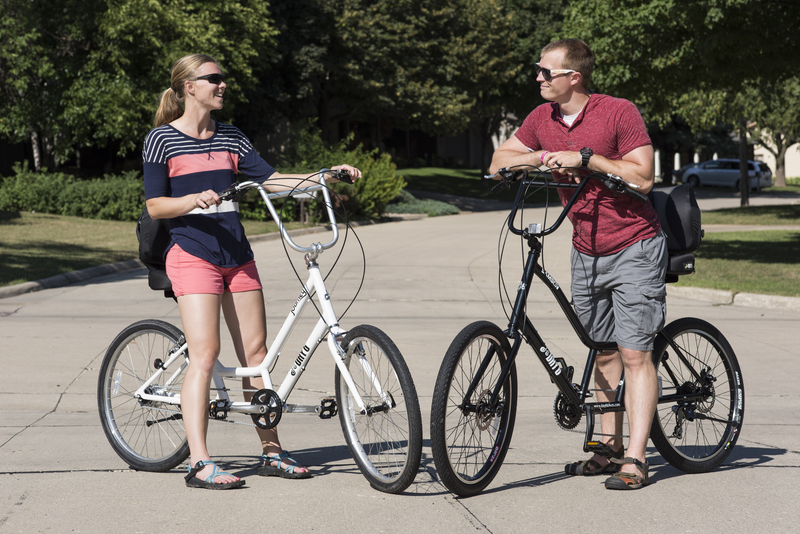 Our new Sport Seat is the perfect combination of support, comfort, size, and performance. 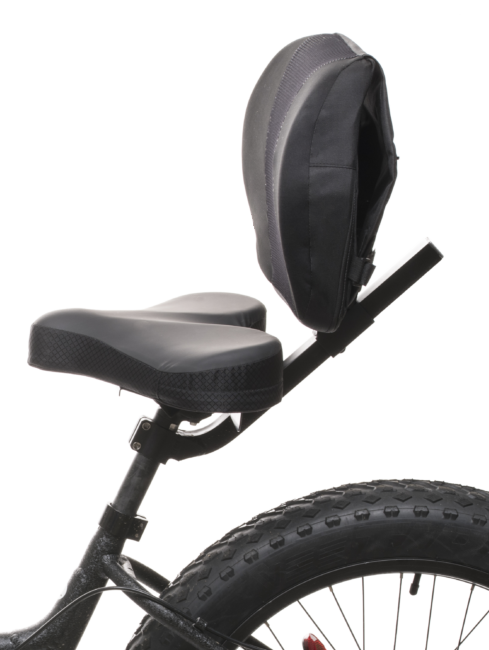 It is 13″ wide, constructed of injection molded foam, and has a swept back front like a traditional bicycle seat that allows your feet to easily reach the ground and pedals. 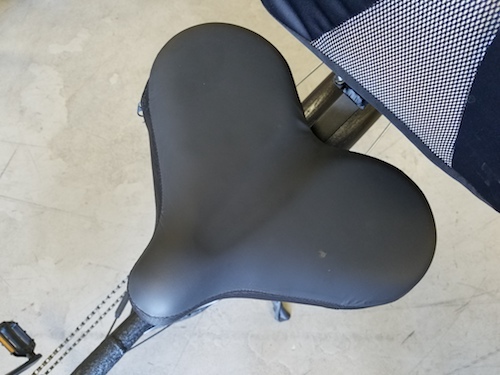 It is so good, this is now the standard cushion on all Day 6 bicycles. The Contour Seat has been our go-to for years and most people love it but the Sport Seat’s performance and ease of reaching the pedals gives it an edge. If you are looking for wide and lush, the new Contour Seat (beginning in spring 2019) will utilize two densities of memory foam for an impressive touch. We are encouraging our dealers to have one of each in stock so you can choose which one works best for you.